I have a radio controlled E. watch that needs to have a new battery installed. It is currently running about 15 min. 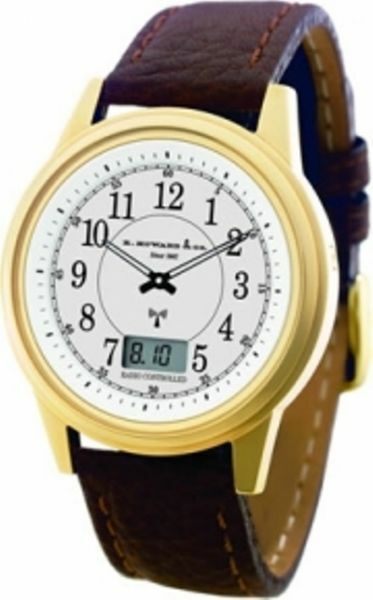 I have a radio controlled E. Howard watch that needs to have a new battery installed. It is currently running about 15 min. slow. I have taken the watch to 3 different jewelers in our area and been told that they are unable to open the watch to replace the battery. Experience: I've been active in clock repair for 14 years - NAWCC member. Hi James, My name is ***** ***** it is my pleasure to assist you. Yes most of the time just a regular jewelry store will not replace the battery on these watches because they don't want to damage the water resistance of the watch you need to contact the numbers I provided below and they can advise you to where you can get your battery changed. also be set and displayed in the LCD again. If you need further assistance, please don't hesitate to ask. for helping you.There is no additional fee charged for my services. Hi James, If you need further assistance, please don't hesitate to ask. I have an E. Howard watch that has never kept accurate time. BBA, serving as Marketing Executive and interested in tourism,sports, and anything and everything!